Although rotator cuff tears can happen from a fall or another traumatic injury, most tears are degenerative, meaning they occur over time. Orthopedic surgeon and shoulder specialist, Dr. Vivek Agrawal, is a leading expert in arthroscopic rotator cuff repair surgery. 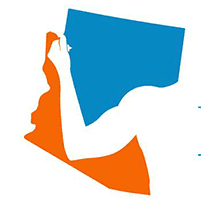 As the Arizona Center for Hand Surgery’s only shoulder specialist, he sees patients from across the United States and around the world at the practice’s three locations in Phoenix, the Northwest Valley, and Mesa, Arizona. Whether you’d like an in-person or remote consultation, contact the Arizona Center for Hand Surgery today. Your rotator cuff is a group of four muscles that come together as tendons to keep your arm in its socket, and to help you lift and rotate your arm. When there’s a tear in one of the tendons, it can no longer attach to the head of humerus, or upper arm bone. If left untreated, a torn tendon can fray over time, causing the tear to deepen. While lifting a heavy object or suffering a traumatic fall can cause an acute rotator cuff tear, most tears are a result of the degenerative wear and tear that comes with aging. That’s why these injuries are most commonly seen in patients older than 40. Tears that happen suddenly, such as those resulting from a fall, typically cause intense pain that may be accompanied by a snapping sensation in your shoulder, and immediate weakness in your upper arm. What is arthroscopic rotator cuff repair surgery? Dr. Agrawal performs arthroscopic rotator cuff repair surgery by inserting a tiny camera, called an arthroscope, through a small incision in your shoulder joint. The images from the camera are displayed on a monitor, which Dr. Agrawal uses to guide his instruments. Arthroscopic rotator cuff repair is the least invasive method for repairing a torn rotator cuff and is typically performed on an outpatient basis. This type of surgery offers the benefit of faster recovery, minimal scarring, and greatly reduced risk of infection and stiffness. Contact the Arizona Center for Hand to Shoulder Surgery to schedule an in-person or remote consultation with Dr. Agrawal today.